MTV’s Catfish meets We Were Liars in this compelling story about a teenage girl who isn’t quite what she seems. In real life, Joss Wyatt is an ordinary teenage girl, with a tight-knit group of friends and a potential boyfriend. But online, she’s an art restorer in Washington, DC, a model jet-setting around Europe, a southern beauty queen trapped in a loveless marriage. Online, she’s anyone she wants to be. For years, Joss has maintained a varied set of alternative lives, using them to escape the boredom that is her existence in a generic Arizona suburb. But when she starts receiving anonymous messages threatening to reveal her identity to everyone she knows—both in real life and online—Joss’s carefully constructed worlds begin to unravel. Can Joss catch her stalker before all of her worlds collapse? 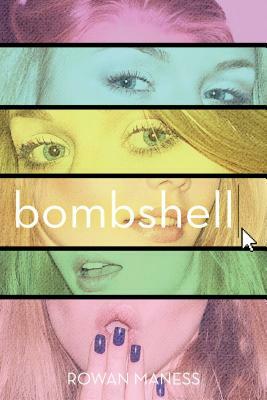 Rowan Maness is the author of Bombshell. She lives with her husband in Los Angeles.